These are stunningly beautiful, Sandy! Thanks, Pete.They were quite an eye full in such a massive planting. Thanks. I was lucky to catch them right at their peak bloom. Yes, they were really pretty. I like how the first photograph shows the tulips receding upwards, like a pyramid stretching back and then with the close up in the second photo I get a strong sense of being drawn in. I like the play, the back and forth between the two photographs a lot. Like seeing the ‘bigger picture” and then honing into the essence. 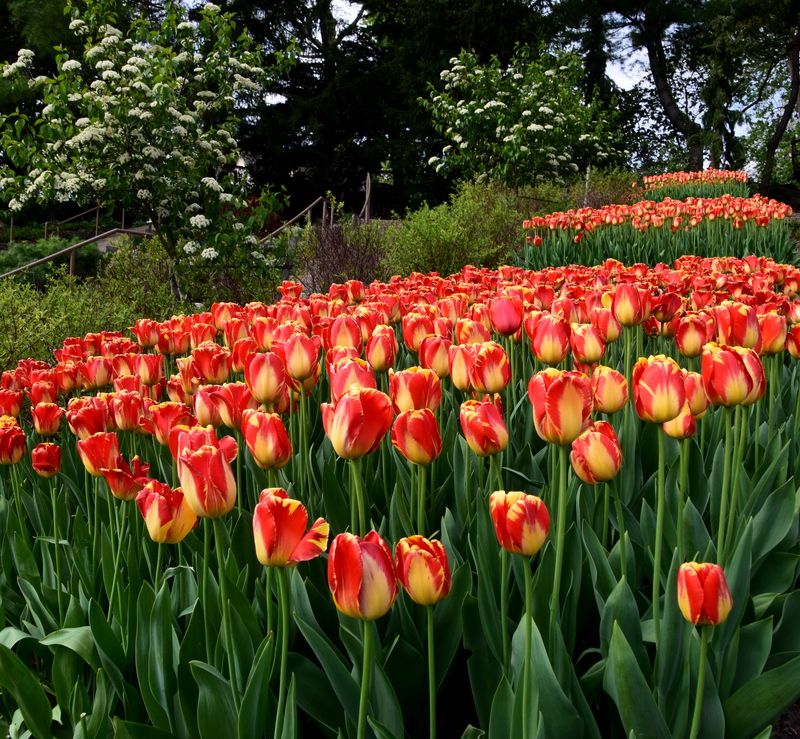 There was such a large mass of tulips and they were stepped up on the bank like a mountain. I wanted to try to capture that depth, but show the beauty up close, too. I’m so glad you enjoyed the images. I took lots of shots and debated which to use. I think this picture would brighten anyone’s day no matter what they are going through. Thanks for sharing. You are welcome. Nature does often have that effect. 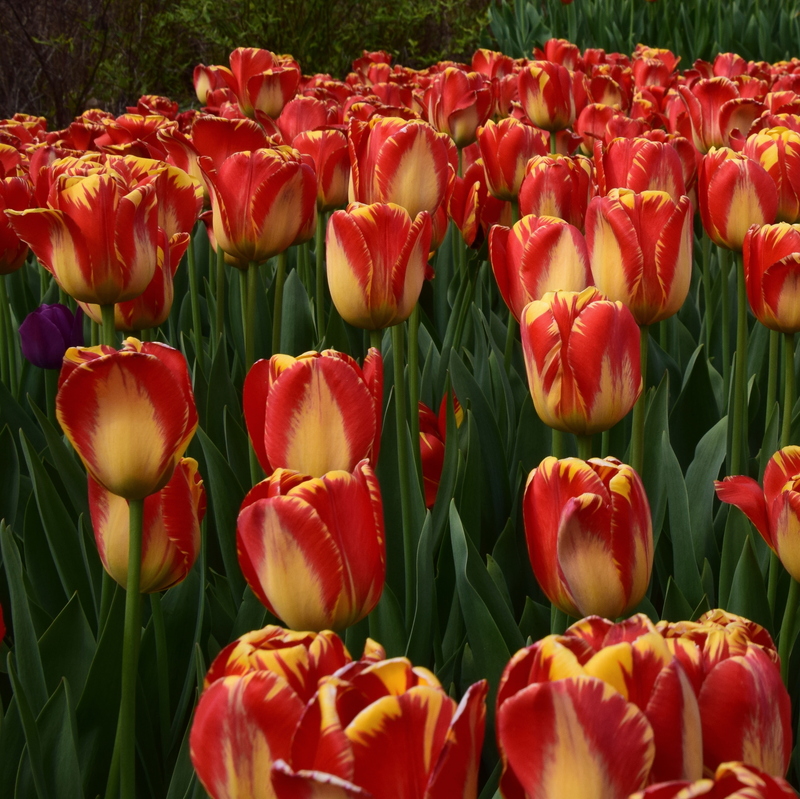 I love your haiku and those tulips are beautiful!